​From humble and very difficult beginnings, the Southside Fire Company has emerged as a strong, well equipped and well trained fire company that has served the public with pride and dignity under the banner of saving lives and protecting property. 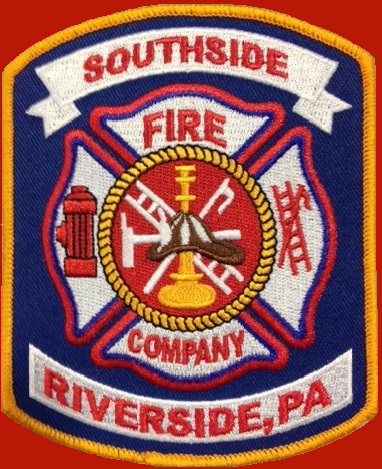 Southside Fire Company #1 continues to serve the residents of Riverside, Rush Township, and Mayberry Township in the highest traditions of the Volunteer Fire Service. Our firefighters are on call 24 hours a day, 7 days a week ready to provide you with the service and protection you may need at any given time. We train and attend classes year round to keep on top of the most efficient practices and remain a leader in available technology for the fire service. Southside Fire Company also serves as a mutual aid company to Danville and Mahoning Township fire departments in Montour County as well as Elysburg and Upper Augusta Township in Northumberland County. We respond to assist any department or area that may need our assistance. Our top concern is your safety!